Ohio's Wilberforce University was ground zero for The Charioteers. Their professor, Howard Daniel, sang bass with the quartet, surrounded by lead singer Billy Williams (born December 28, 1910 in Waco, Texas), Peter Leubens, and John Harewood. 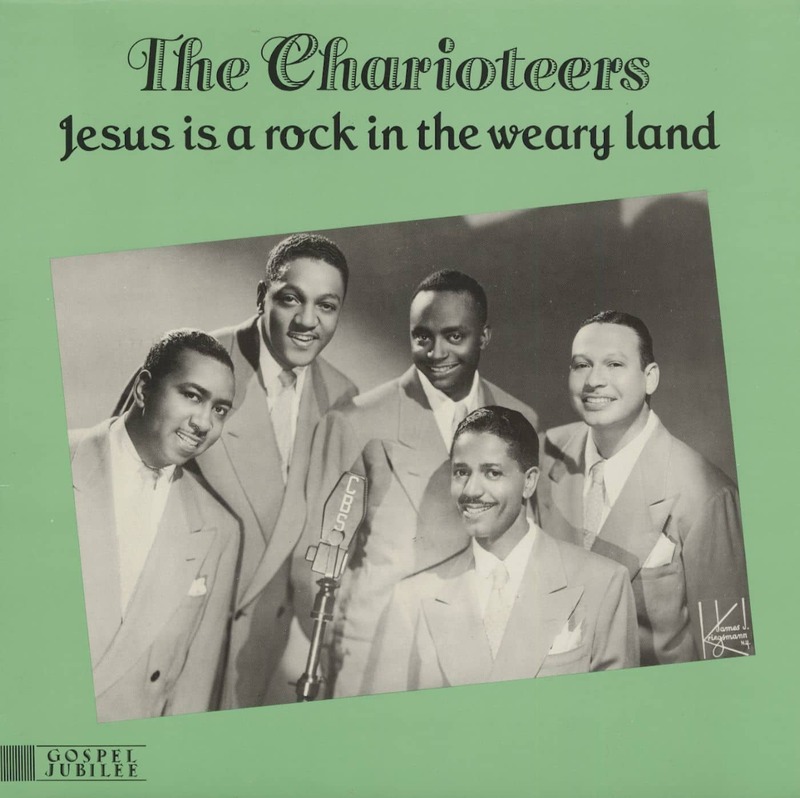 Formed as The Harmony Four in 1930, they changed their moniker to The Charioteers to reflect one of their crowd-pleasing numbers, Swing Low, Sweet Chariot (they performed spirituals exclusively at the beginning before diversifying into secular material). The group moved up the broadcasting ladder from Cincinnati's WLW to a station in New York, and in 1935 The Charioteers signed a recording deal with Decca, debuting with Along Tobacco Road. Leubens and Harewood were soon replaced by tenor Edward Jackson and baritone Ira Williams, also from Wilberforce. Jimmy Sherman was their longtime piano accompanist. Vocalion pacted The Charioteers in 1937, and in '39 they commenced a long stint with Columbia Records (and for a time, its OKeh imprint). 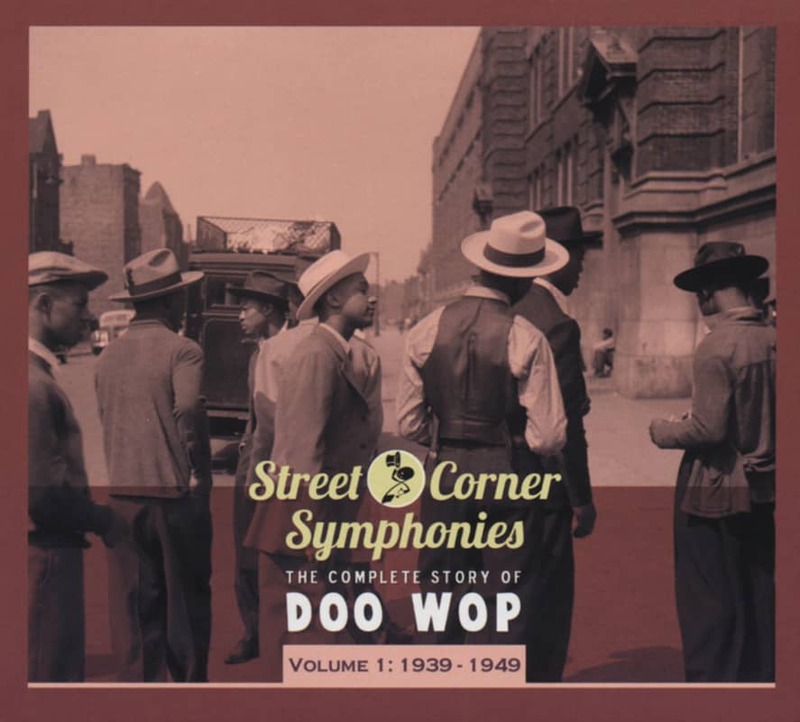 They scored their first pop hit in 1940 with the sweet ballad So Long and turned up again on the hit parade in '46 with On The Boardwalk (In Atlantic City) and four more the next year, including a cover of the Jack McVea/Dusty Fletcher comedy opus Open The Door, Richard and a boogie-based Oooh! Look-A-There, Ain't She Pretty? In addition to all their own recordings, The Charioteers did a fair amount of backup work with a sparkling array of luminaries: Bing Crosby, Mildred Bailey, Frank Sinatra, Maxine Sullivan, Pearl Bailey, and Fletcher Henderson. A Kiss And A Rose, a sentimental romantic ballad lovingly caressed by charismatic lead singer Williams, marked The Charioteers' only trip to the R&B charts at #8 in 1949 despite strong competition on the number from The Ink Spots and Orioles (this version also climbed to #19 pop). Only a few months later, Billy exited to do his own thing with The Billy Williams Quartet, recording for MGM and Mercury and receiving a healthy amount of TV exposure, notably on Sid Caesar's 'Your Show Of Shows.' The Charioteers tried to make a go of it anyway, bouncing from Keystone to Josie to RCA Victor to Tuxedo and finally MGM in 1957 before calling it quits. Williams made his own solo splash in 1957 when his jovial I'm Gonna Sit Right Down And Write Myself A Letter rocketed up to #3 pop on Coral. Sadly, diabetes took Billy's voice during the '60s. He died October 17, 1972 in Chicago, where he'd become a social worker, his entertaining days long behind him. 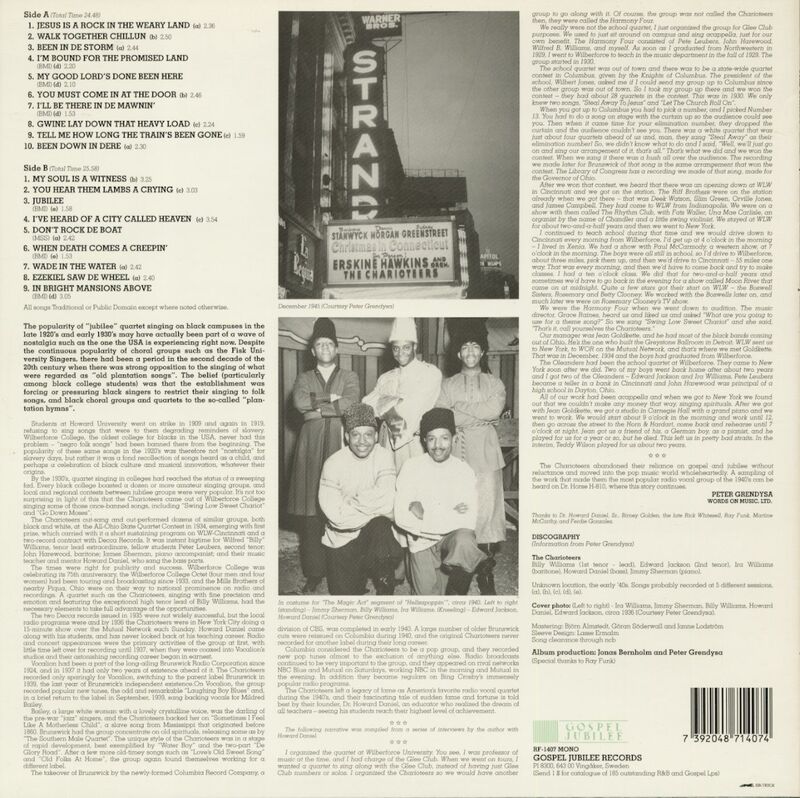 Customer evaluation for "Jesus Is A Rock In The Weary Land (LP)"